The best product in the high-tech swing trainer market. Excellent swing capture accuracy, more data than before, and an ever-improving app and user experience. Over the last 2+ years, high tech swing trainers have been some of the hottest, most exciting products in golf. The evolution of this market has been nothing short of amazing as these products have morphed from sketches on paper to bulky, inaccurate chunks of plastic to sleek, precise, “must have” devices. The one thing that has remained constant, however, is this: SwingSmart is the best in class. For anyone familiar with the functions of the smart phone or tablet, setting up SwingSmart will take under a minute. Simply turn it on, pair it with your device, and open the app. The SwingSmart app is extremely easy to use. Want to customize the clubs in your bag? Click “My Bag.” Want to swing? Tap “Swing Mode.” If you can read, you can navigate the basic functionality of the SwingSmart app. Even if you’re too lazy to read, the Tutorial shows you where everything is. The new feature that I absolutely LOVE is the ability to customize the data on the Swing Mode screen. In the early versions of the app, there were only 4 pieces of data, so that’s what was displayed. Now there are 7 pieces of data, and you can customize the display to show any 4 of them or just 1 data point (great for focusing on one element of your swing). In addition to the 3D image, SwingSmart delivers information on Tempo, Shaft Lean, Max Club Speed, Impact Club Speed, Face Angle vs. Address, Face Angle to Path, Club Path, and Angle of Attack. These new data points (Club Path, Face Angle to Path, Angle of Attack, and Max Club Speed) are tremendously helpful. They were not just added for the sake of having more numbers; they really add to the function of SwingSmart. Naturally, there will be many golfers who don’t know what these numbers mean or what good numbers are. This is another area where SwingSmart excels because they have videos of Peter Kostis explaining these things built right into the app. Of course, all these data points are meaningless if they aren’t accurate. Thankfully, with SwingSmart, they are. Compare the numbers to radar-based launch monitors, they’re dead-on. Compare the 3D images to video, same thing (except video isn’t 3D). The one caveat is that, as with all on-club devices, the accuracy of the data is subject to the accuracy of your set up. If you set up with your club face aimed way off target, you will get very weird data. This is why SwingSmart comes with an alignment device designed to help you set up the same way every time. One of the things that I’ve loved about SwingSmart from the beginning is that they never promised more than they could accurately deliver. Over time, they’ve figured out how to give the golfer more and more data, but it’s always been accurate. Other devices came out of the gates promising to be a $100 Trackman and failed miserably. SwingSmart earned their reputation with honest, accurate data. It’s worth pointing out that SwingSmart isn’t just about super serious golfers trying to get their club path exactly 2° right; it’s also fun to use. Turn off all the metrics except Max Speed and see if you can reach PGA (or LPGA) territory. See how extreme you can make your path while still hitting a reasonable golf shot. There’s no limit to the games and challenges that you can set up with SwingSmart, and it’s something that golfers of all abilities can enjoy. I’ve owned a SwingSmart for well over two years and I still use it regularly. In fact, as the app has improved and added more data, I find myself using it more. SwingSmart can be used with every club in your bag, and it can help you with different facets of each club: speed, tempo, face angle, and path. This is simply a device that you will never outgrow. The SwingSmart Duo retails for $250. This is one of the more expensive devices in the category, but it’s well worth the addition cost for the quality of the device and the accuracy. If you’re buying one of these devices as something to goof around with, fine, save your money and buy the cheap ones. If you’re buying something because you actually want to get better, buy SwingSmart. Whether you’re looking for something to improve your own game or a gift that any golfer will love, SwingSmart is your best bet. It’s accurate, the device is well-made, the app is easy to use, and the brains behind it are adding new functionality all the time. SwingSmart is simply the class of the field in high tech swing trainers. We’re keeping this one simple: just post a comment below telling us why you’d like to win a SwingSmart Duo. On Friday, December 20, we will pick one winner at random to receive a SwingSmart Duo. Good luck! 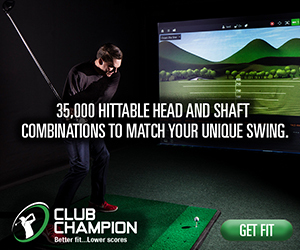 I’d love to win the SwingSmart Duo as it will definitely help me improve my swing. I’d love to win a SwingSmart Duo so I can have more focus in my practice sessions, plus being able to use it in the winter would be awesome! If I won I would help all my friends and family become better golfers. This is the ultimate tool to become better with your golf swing. Thank you. Very cool! Thanks for the contest! I’ve been looking for something like this but to help me and my son during range sessions. It’s gonna be a loooong winter. I can swing all I want in my golf room. But I need something for feedback besides the net. This would be great! Maybe start the season better than I left! A lot of my friends already have this great teaching aid. I want one too!!!! Great tool for improving my game. I’m a techy type person and I love this swing analyzer. I’ve seen this device demoed and it is very impressive. I want it. Something that can be used everyday during warm-up to let me know how the old body is moving today. I love it. I’m always trying to improve my swing. The technology behind the SwingSmart Duo should really speed up that process. I would to win a swing smart Duo, just to see how bad my swing really is…..
First great review and give-a-way! I’d like to win a SwingSmart Duo for a couple of reasons. First the giveaway is on the 20th and my Birthday is the 21st, so great timing! 2nd, my instructors have always said I’m too technical, well the SwingSmart is as technical as it gets! I believe it will be a game changer for me! I started playing golf this summer and am really struggling with finding a consistent swing. I believe the Swing Smart Duo could really help me build my golf swing and lower my scores. Nice to see a solid review of this. I have been looking for someone to validate the numbers. Ps I work with your bro. Props to him for pointing me to your site. If I win the SwingSmart, first SwingSmart would help me to fix my slice. Then I can work on developing a consistent swing. Then I would continue using it to work on a faster and better swing and also to practice during bad weather and in the winter. Random.org generated #9, so being the 9th comment on this post, you win! We will be in touch shortly to coordinate your prize. Thanks Matt, Looking forward to improving my game with the Swingsmart Duo. Thanks for the excellent write up! I bought a swingsmart based on your recommendation. But what is the alignment aid you mentioned in the post? I don’t find it or see it mentioned in any of the instruction…. 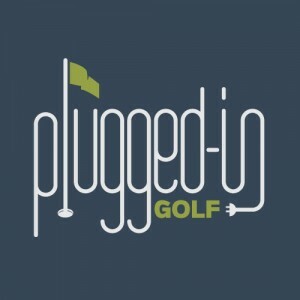 Are you referring to the green piece of plastic for putter? Thank you, and I hope you enjoy the Swing Smart. Yes, the green plastic triangle is the alignment aid I referred to. Though I wouldn’t suggest hitting it, it can be used for full swings and putting for alignment purposes. As a 18 handicapper, I think the improvement level should be more significant with the Swingsmart than for a low handicapper. I use to come over the top and hit fades to weak slices. but now I hit hooks for the first time in my life.I think I have overcompensated and now come too much from the inside. No wonder I am off 18, I dont have a consistent go to shot. With Swingsmart, I will finally be able to work on swing path and face angle to hit straighter. I think these two parameters are most important for my swing. Then, when my handicap gets to 12 ish , I will spread the word!! Well well, I after saving a lot bought a swingtip for which I used and did not find much info. Was not very helpful. Found out swingsmart Duo is the sensor I should have. Can’t afford it straight away so I would be so happy to get one as free and can use it to improve my game of golf. I am 16 handicapper and want to go into single digit. Additionally I would like to help my friends with this amazing device on range! 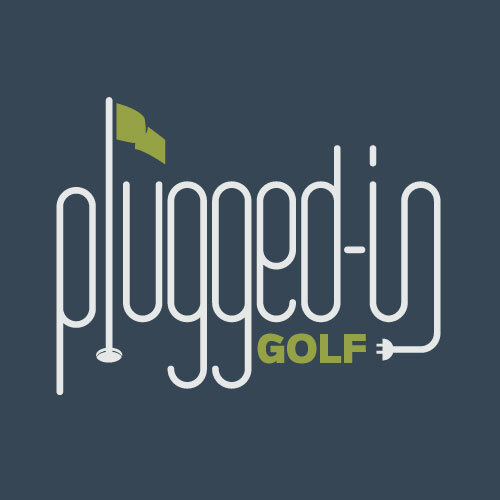 It would really be helpful to get feedback out of practicing at the range other than being wore out from unstructured practice. To be able to go play a consistent round of golf would be so much more enjoyable. Be able to make consistant solid contact. would love to make consistent contact with the ball. would make a round so much more enjoyable. I’d love a swing smart to give to my husband for our one year anniversary! I’m teaching my wife to play. SwingSmart could save my marriage! Looking at improving my golf swing as well helping family, friends and soon my grandkids. Im in desperate need of help. My swing has fell apart and the swing smart would really help me in getting it back through practice.